In my first piece here on Scholarly Gamers, I spoke about how it was past time for those within the video game culture to do more to preserve our history. I would like to say I practice what I preach, as those who follow along with me on Twitter and Facebook see where I turn up retro video game stuff on a frequent basis. No matter what it is worth on the price charting websites, or what condition it is in when I find it, I will take it on if the price is right. More often than I would have believed a little over a year ago, I am often serving as an alternative to people trashing this stuff, too. Games, consoles, vintage video game magazines: you name it and I will be happy to find it. In my eyes, every bit of it is part of video game history, remnants of bygone eras and previous generations of our storied industry. Even if it is only a “common” title or an outdated sports game, it holds the key to childhood memories and fun times for someone out there, even if they have not played a game since. My efforts in this regard have sparked debate in some video game communities, a fact that I find rather surprising. One would think that other people who claim to be fans of video games would support preservation efforts, but that is not always the case. Far too many within the video game world still see old video game consoles and games as common junk, with the idea that “they made so many of them” that it is no big deal if someone trashes or modifies one. This attitude can be very detrimental and short-sighted to video game history in the long-term. This is the most common argument I hear. I am thrown sales figures, some of them outlandish and some of them accurate, as if every single one of them that was made is still sitting in some living room or garage stash somewhere. But it is not how many of something that was made that matters, it is how many are left. There were 200,000 to 250,000 copies of the Action Comics #1 comic book printed. Today, only about 100 of them are known to exist, despite the fact that the character the book introduced, Superman, is beyond iconic in pop culture. Each surviving copy is worth a great sum of money, despite the fact that there have been numerous modern-day reprints and despite the fact that the comic can be downloaded and read online. The original of anything is always going to hold more value – both in monetary value and historical value – than any reprint or digital download. One would be foolish to suggest that a character like Mario or Pac-Man is not at least as important to pop culture as Superman turned out to be, so why treat the original items involving those characters any differently? It is a moot point that so many copies of Action Comics #1 were printed, as almost none of them exist now. Some have proposed a counterpoint by suggesting that people do not throw things out now like they did back then, which returns to the claim that “they made so many and they are all out there.” I will note another parallel that everyone should be able to see directly, one from the automotive world. 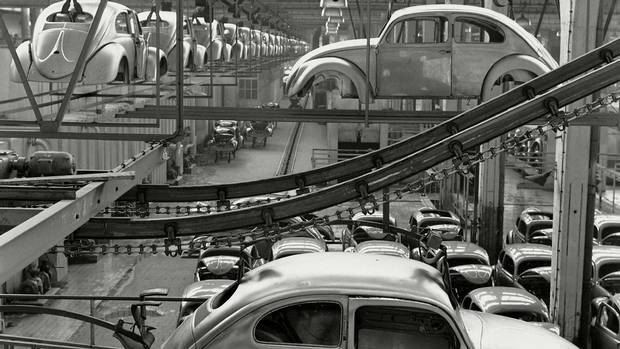 Over 21.5 million Volkswagen Beetles were built and sold. The road used to be full of them, so much so that kids would play a game called “Slug Bug” or “Punch Buggy” on road trips, where the first to spot a Beetle got to punch the other one in the arm. For this reason alone, I am somewhat grateful I was an only child. If the “they made so many of them, so they are not hard to find” rule held water, the road should be full of Volkswagen Beetles right now. My recent road trip from the Dallas area to Oklahoma City and back should have seen tons of them, but we saw none the entire time. Video game consoles and games are no different than the comic or cars I point out here. The majority of people treated all of them the same way, using them for their intended purpose until they got bored of them or until they were used up and eventually replaced. They were then thrown out, scrapped or dumped by consumers, because that is why they are called consumers in the first place. Companies did it too. 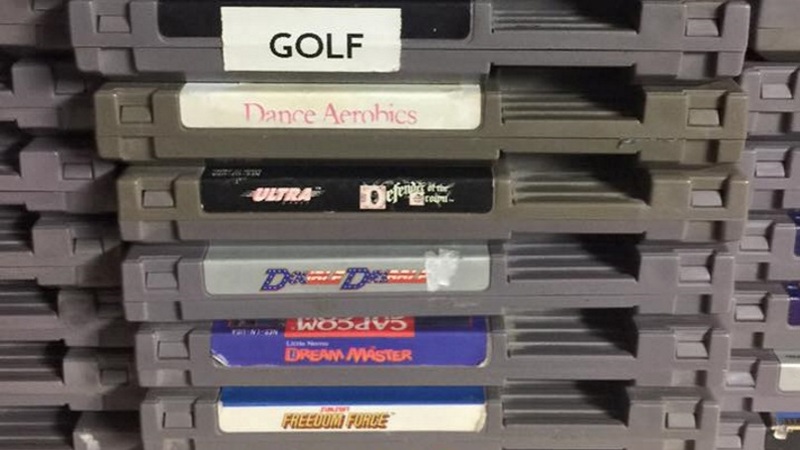 A former high-ranking Funcoland executive has confirmed to me directly that the company purged “thousands of pallets” of then-unwanted Nintendo Entertainment System games and systems in the late 1990s. 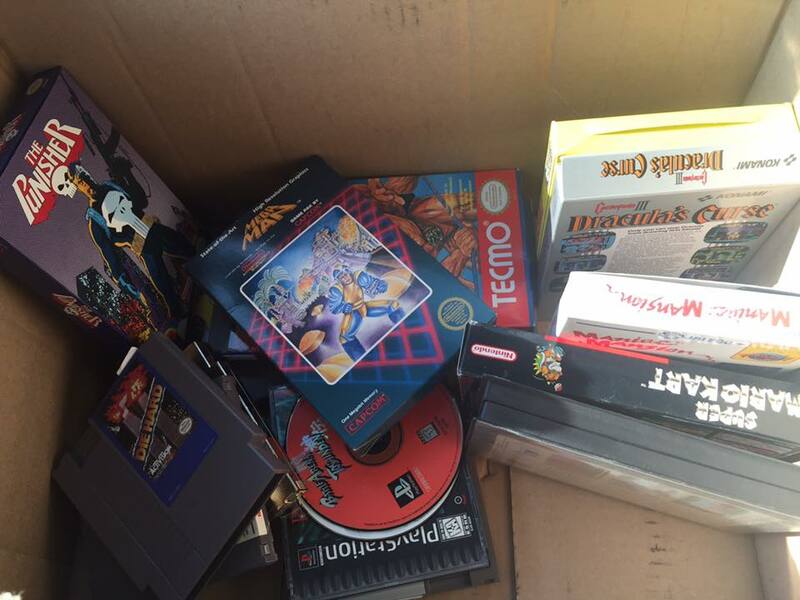 The company policy was also to throw out any boxes or instruction manuals that came in with trade-ins. Blockbuster Video field destroyed old stock en masse, including video games that failed to sell in the dump bins once they were phased out. Retailers did not just ship off old, unsold games, either. The practice of dumping unsold or “defective” stock was not something just done one time by Atari. When a consumer product is no longer made yet continues to be consumed, the supply of those items will eventually run low. Odds are high than less than half of the supply of any out-of-production video game console is already gone, and there are numbers to suggest that over 90 percent of original arcade machines no longer exist, either. This is another one that I hear, typically when I call someone to the carpet for turning a bunch of Nintendo Zapper guns into desk lamps or copies of Super Mario Bros. / Duck Hunt into emulators that will have the nostalgic value of floor tile in less than five years. Because the game is not worth anything to speak of monetarily right here and right now, they figure it never will be, so it is okay to destroy them. 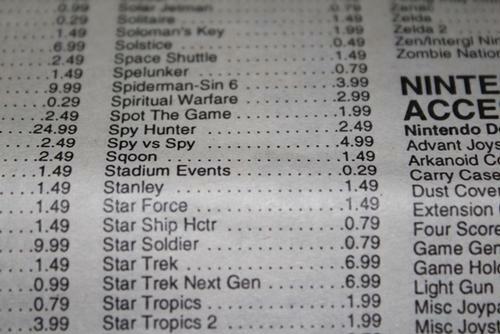 The much sought-after NES game Stadium Events was worth 29 cents at Funcoland just two decades ago. Kay-Bee Toys struggled to blow out large stacks of games like Earthbound and The Legend of Zelda for under $20 around that same time. Even currently “low value” $5 to $10 games like Atari’s. E.T or Super Mario Bros. could be had for under 50 cents each just a few years ago, marking quite a high percentage price jump if you really want to look at it. With collectibles, it is always the stuff that people don’t value early on that gains value later. That is why Beanie Babies and Starting Lineup figures are not worth enough these days to buy cases of Top Ramen, because everyone “valued” them and kept them around. It is also why original Star Wars figures and Transformers toys are worth a metric ton of cash, because people used them up and they ceased to value them after a while. Even if a copy of Madden ’94 never ends up being worth more than a few dollars, it still holds a historic value that will never be matched by whatever homebrew it is used to make, or belt buckle it is turned into. Value must begin to be seen beyond the numbers behind a dollar sign. Yes, they can, but it does not necessarily make it right. I am pretty sure a mob would come for me if I bought the original Mona Lisa and painted her up like a member of the legendary Road Warriors tag team. I am pretty sure I would be called out if I found an original Model T and turned it into a nacho bar. People would be rightfully upset about such things, and I do not see the difference between those outlandish examples and my habit of calling people out for gutting an original Dig Dug arcade game to make some MAME emulator machine that does nothing one cannot do on a computer. My argument here is that someone out there is going to want that game, console, arcade machine exactly as it exists, and if anyone is a true fan of video gaming, they will want it in the hands of someone who will love it and appreciate it. Somewhere out there is a person who would have happily taken and fixed that Nintendo 64 that someone wrecked into a “retro” Nintendo Switch. Probably reading this right now is someone who would have been thrilled to get that original Coleco tabletop Frogger another person just turned into a Raspberry Pi “custom” toy. It is not a case of telling others what to do with their property so much as it is attempting to educate others into seeing vintage video game stuff as more than just “common mass produced plastic” and as parts of the giant jigsaw puzzle that morphed into a multi-billion dollar entertainment concern. It is an attempt to encourage more people to understand that the current trends cannot continue if we want anything we have ever enjoyed about the gaming world to be around for future generations. Environmentalists do it all the time with animals and rain forests, and while you will never catch me suggesting that video games are nearly as important as those kinds of things, I will note that Atari is never going to make more copies of Combat. Once they are gone, they will be gone for good, so why contribute to proving that right? Everyone needs to keep in mind that while consumer video game products have been around now for well over four decades, the overall video game industry and culture is still very, very young. It took over 70 years for people to truly understand and appreciate the cultural impact of comic books. It took decades for people to truly see the artistic value of film, television as well. Numerous legendary artists, writers, poets and musicians were not fully respected until decades or even centuries after their deaths. I fully believe that video games will be seen historically as far greater and more important things in future generations than they are now, and it is up to us to ensure there is as much of it as possible left intact for when that day comes. If you really love video games as I do, I would like to think you would agree. 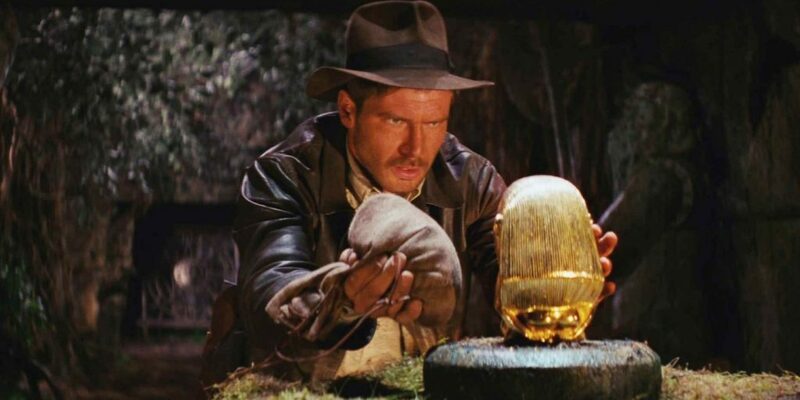 Pop culture, art and entertainment history is already full of stories where items were lost due to neglect or destroyed due to a lack of foresight. Why not try to buck that trend with video gaming, and work to keep as much as possible of this stuff out of the landfills and as original as possible? No matter how many they made, they only made so many. Previous articleWhat Do Video Games Provide That Is Unique To The Medium?